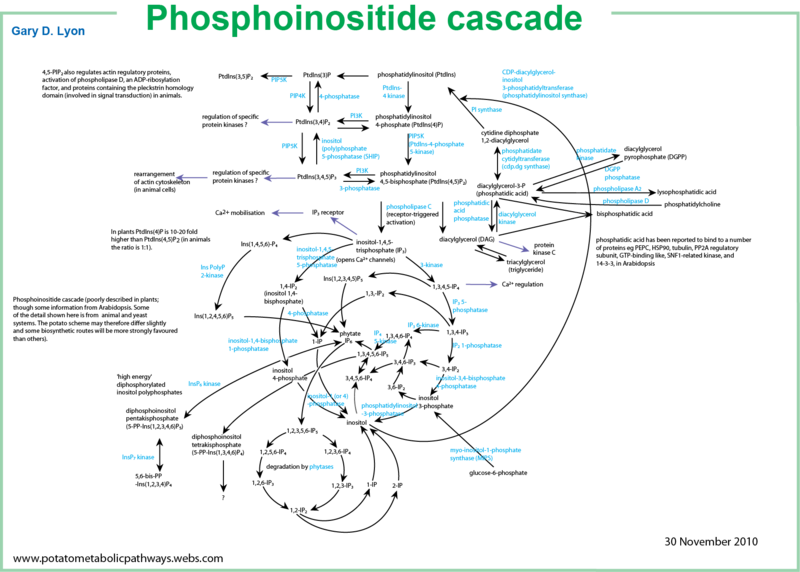 A PDF diagram shows some of the early signaling events associated with the response of Arabidopsis to various biotic and abiotic signals. These include ABA, Botrytis cinerea, cold, drought, ethylene, flg22, heat, hydrogen peroxide, jasmonic acid (JA), oligogalacturonides, osmotic shock,Pseudomonas spp., salicylic acid (SA), salt, UV-B and wounding. 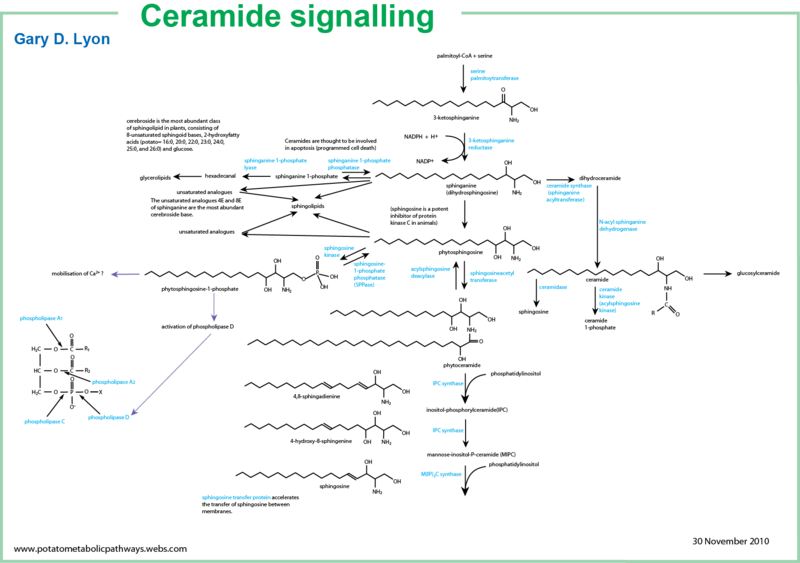 Information for the diagram has been sourced from various internet sites, particularly PubMed, and every attempt has been made to ensure accuracy. The diagram is best used as an aide to understanding signalling. Diagram up-dated 30 March 2018. 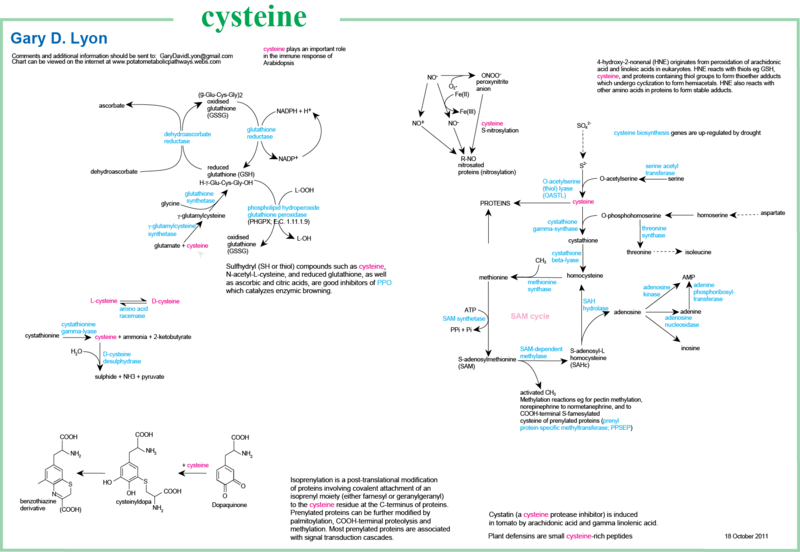 Many metabolites are associated with multiple metabolic pathways. This can be demonstrated by looking at glutamine which is associated with a number of diverse metabolic pathways as well as its role as an amino acid involved in protein biosynthesis. 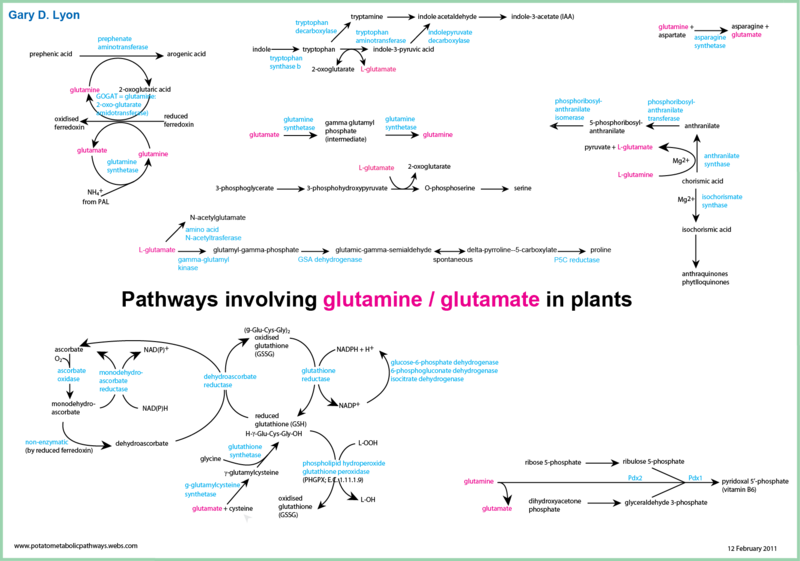 A PDF can be downloaded showing several pathways involving glutamine / glutamate as a metabolite. Thus there are difficulties when constructing stress-responsive pathways in assigning some metabolites to specific pathways when other corroborating evidence is lacking. This is particularly pertinent when considering drought responsive pathways as glutamine can accumulate in drought stressed leaves but it is not yet clear which pathway is leading to this glutamine accumulation. Download a PDF of the 'Metabolic Pathways of the Diseased Potato' . References used as a source of information to create the chart can be downloaded from here. Diagram and references up-dated 31 March 2018. 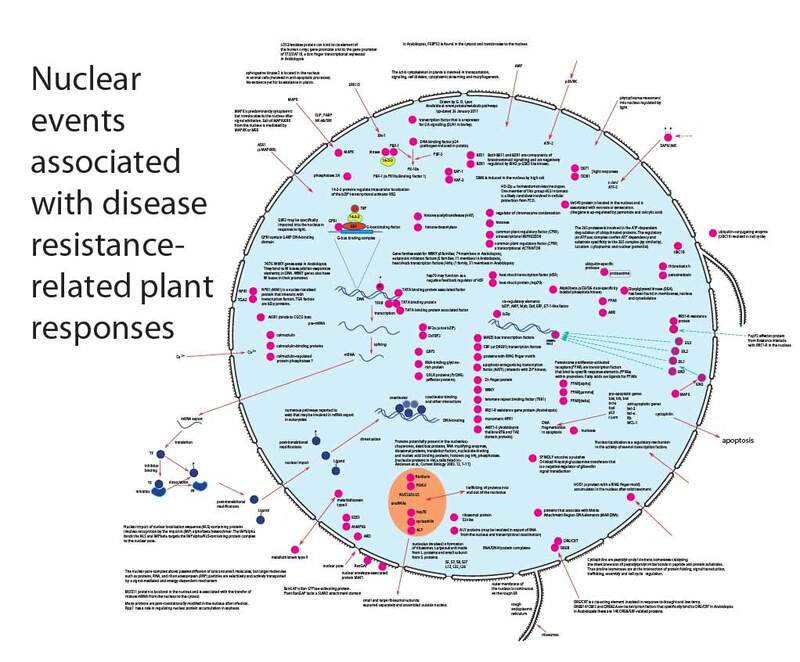 A PDF diagram (last up-dated 21 December 2012) of some of the Nuclear Events Associated with Disease Resistance can be downloaded. Some of the more recentReferences used as a source of information are also available though this is not a complete list (sorry!). A PDF showing the Response of Dicots to Drought is available. Last up-dated 21 March 2018. A large PDF file suitable for printing a poster is also available and provides a higher quality image. A PDF showing the response of monocots to drought is available. 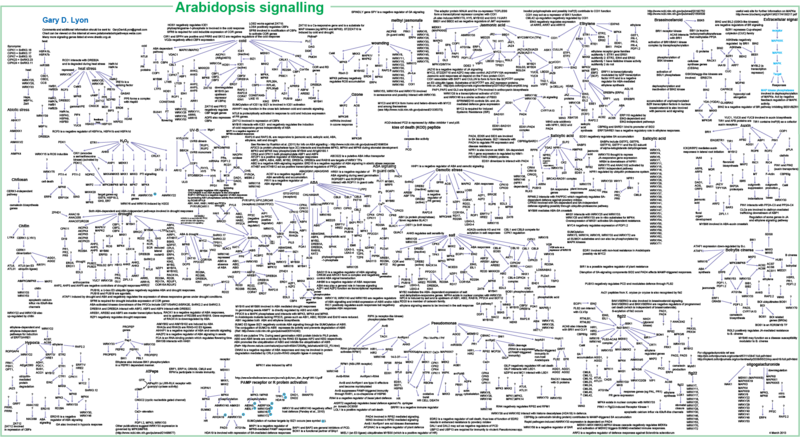 The greater detail shown in the diagram 'Plant Drought Responses - Dicots' undoubtedly reflects the larger research effort using Arabidopsis rather than a fundamental difference between Monocots and Dicots. Diagram last up-dated 30 March 2016. 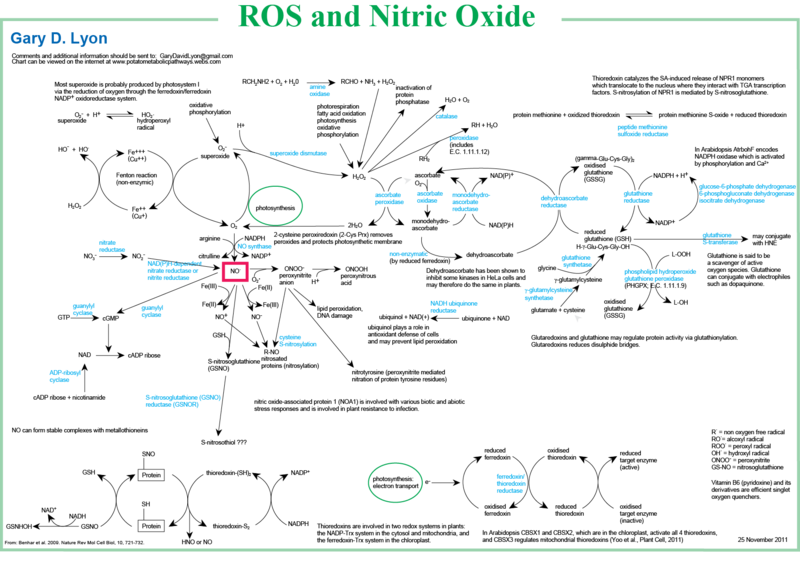 A PDF showing metabolic pathways involving ROS and nitric oxide (NO) is available here. Diagram last up-dated 12 February 2013. 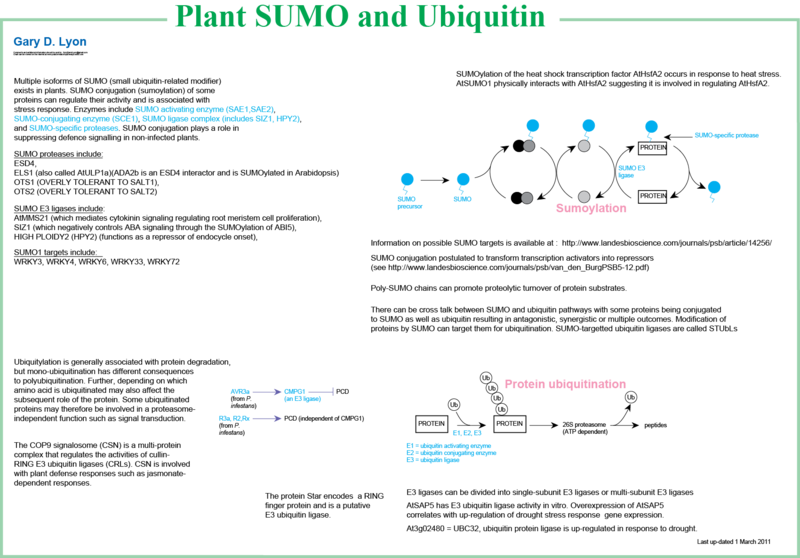 A PDF showing SUMOylation and Ubiquitination is available. I have set up a Facebook account relating to this web site where people can leave comments, make suggestions, or ask questions. I will use it to state when new versions of these diagrams are available.